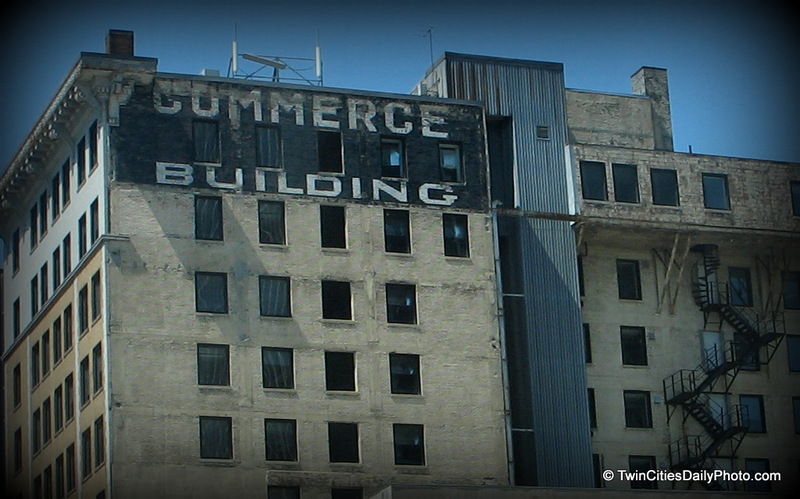 The Commerce Building always stands out to me. It's probably because it's on the edge of downtown St Paul and is quite visible from the street. The crops are planted, the rows are aligned. This strip of green really stood out among the fields. This light post is long forgotten and off the grid in the city of St Paul. It was however one of two light poles that anchored the street car tunnel that lead to Summit Avenue, which is also no longer used in the city. From the rooftop of the 1st National Bank Building in St Paul. I found this wonderful shot from Dan Anderson on his flickr photostream and asked him if I could share his photo here. St Paul is my favorite city to photograph, I have never seen a shot from the rooftop before and absolutely love this photo. Please visit Dan Anderson's flickr photostream for more amazing photography work. He has some great work posted. Thank you Dan for allowing the use of your photo! "The First National Bank building was constructed in 1931 and at 417ft it was the tallest building in Saint Paul Minnesota for over 55 years. Although 3rd tallest today, it's still the most recognizable building in town because of it's cool art deco architecture and this big red neon '1st' sign on the roof. 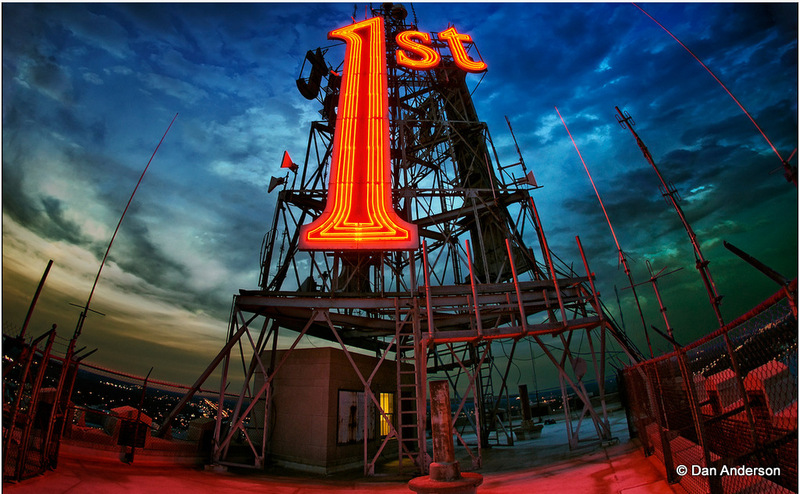 The '1st' sign is a local icon that can bee seen from 75 miles away at night and 20 miles away on a clear day. It has 3 sides, is 50ft or over four stories tall, made up of 4,000ft feet of neon tubing, and when it blinks 'on' everything round it glows red. I’ve had a few questions about this . . . and sadly no, the First Bank roof is not open to the public."